Your tires take a lot of wear on the road. Through all the turning, braking, accelerating, and skidding, they feel a lot on the road. To keep them in better shape on the road you should get them rotated routinely. Rotating tires consists of removing them from the vehicle and switching the axles that they are on. For example, moving the rear driver-side tire to the front passenger side. What is the Importance of Tire Rotation? Tires typically wear unevenly. The front tires see comparatively more wear than the rear tires. This can lead to uncomfortable driving conditions. Rotating your tires can provide you with plenty of benefits. A smoother ride and longer tire life are some of the most tangible benefits. 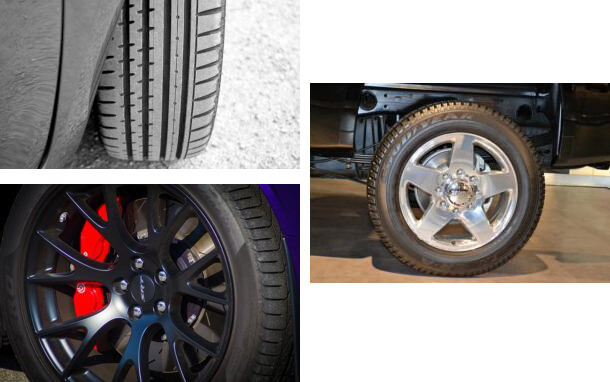 These, in turn, lead to better mileage for your vehicle with even tread-wear. A common recommendation is to have your tires rotated on the same cycle as oil changes. While this would assure frequent rotations, the best advice is to follow the guidelines in your vehicle manual. Where should I get my tires rotated? Most vehicle service centers can perform this service but it is important to go somewhere you trust. At Metro Nissan of Montclair you can get all your services done quickly and professionally. While we have your car elevated we can also look at the undercarriage for signs of any other services you might need. Visit MetroNissanMontclair.com to schedule your service today!